Marked by World Monkey Day on Friday 14th December, The National Zoo & Aquarium is raising awareness for all primates for a whole week, commencing on the 14thand concluding on the 21st! World Monkey Day was believed to be created in 2002 by a few individuals who aimed to raise awareness of primates so they can be learned from and protected. Monkeys and all other primates are very interesting and mischievous creatures but unfortunately many species are endangered. To celebrate and raise awareness of these incredible animals, the National Zoo & Aquarium will be holding a range of fun activities and educational zookeeper talks for visitors to learn about Capuchin’s, Squirrel Monkey’s, De Brazza’s Monkey, Marmosets, Black and White Colobus, Lemur’s, Cotton-Top Tamarin’s! There will be a stall from Friday 14th– Sunday 16thDecember with heaps of goodies to purchase and a Fingerprint Tree for visitors to contribute to. 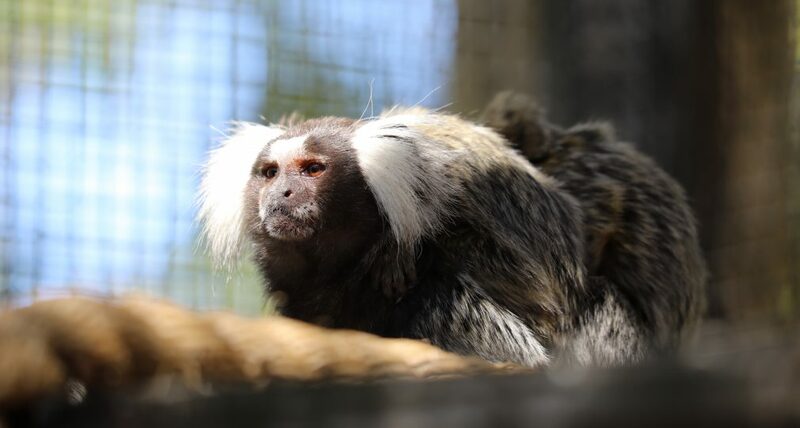 You could even book into a limited time Common Marmoset Encounter for up to two people, each day of World Monkey Week! To book in, please click the below link! All donations and monies raised will be sent to Proyecto Titi to assist their efforts in conserving the critically endangered Cotton-top Tamarin in Columbia. Proyecto Titi is a conservation program designed to provide useful information to assist in the long-term preservation of the cotton-top tamarin and to develop local community advocates to promote conservation efforts in Columbia. To keep up to date with all activities we have at the zoo, such as World Monkey Week, follow us on our Facebook page. Another benefit of following our Facebook page means that you will see regular updates on your favourite animals, as well as day-to-day information on what’s happening at the zoo.